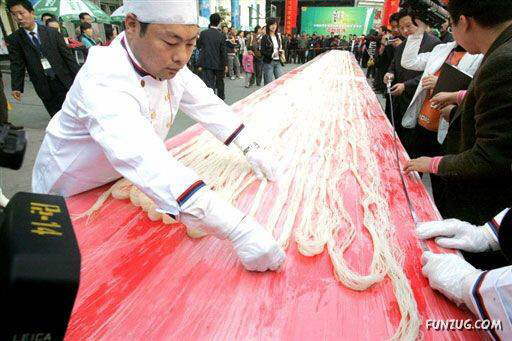 Chinese chefs lay out 420.4 meters of long rice noodles, weighing over 63 kilogram, which they claimed to be the world`s longest noodles, outside a noodle shop in Zhengzhou, in central China`s Henan province . 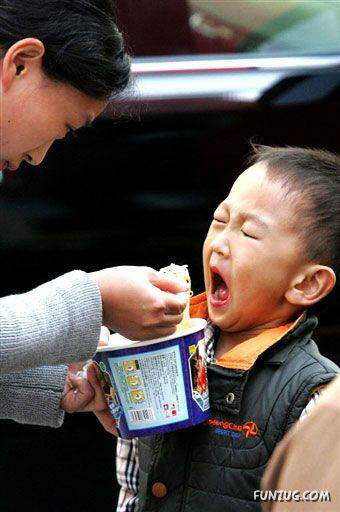 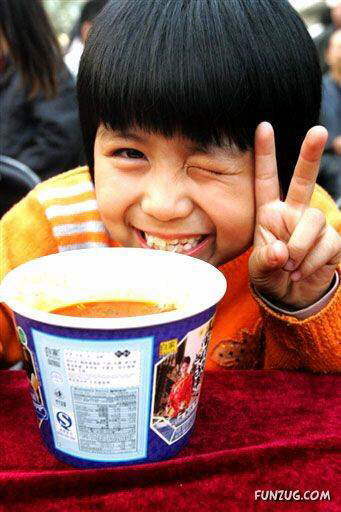 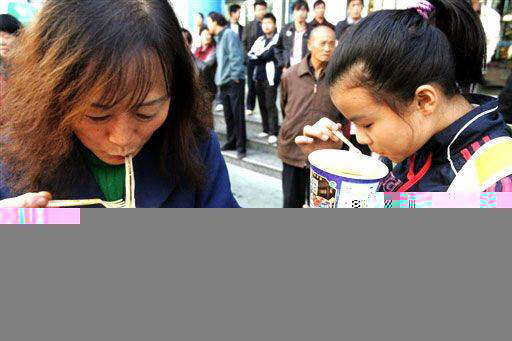 A young boy gets fed a portion of the rice noodles that measured 420.4 meters long and weighed over 63 kg, which organisers claimed to be the world`s longest noodles, outside a noodle shop in Zhengzhou, in central China`s Henan province. 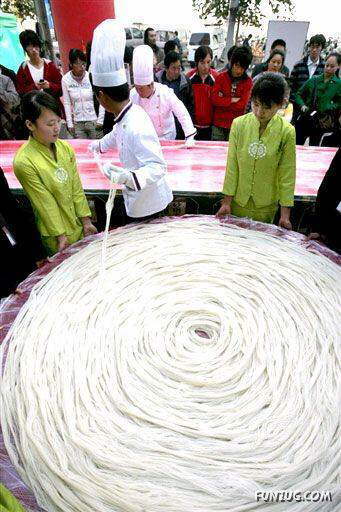 A Chinese girl enjoys a bowl of the rice noodles that measured 420.4 m long and weighed over 63 kg. 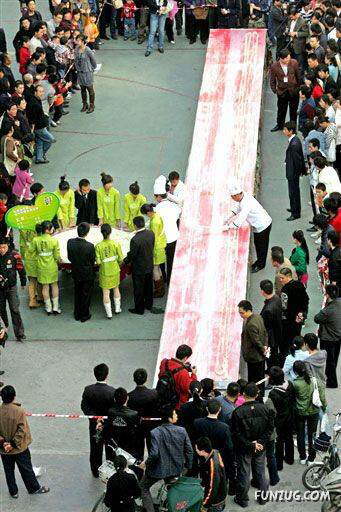 Residents of Zhengzhou, in central China`s Henan province, enjoy a share of the the world`s longest rice noodle. 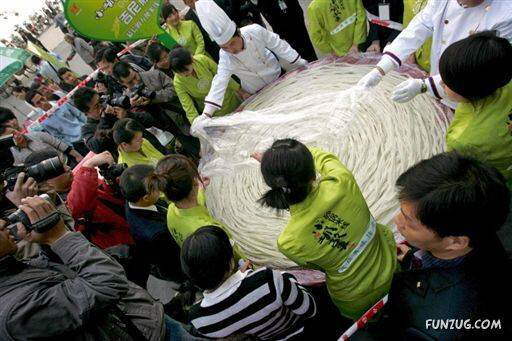 Chinese chefs lay out the rice noodle that created a world record. 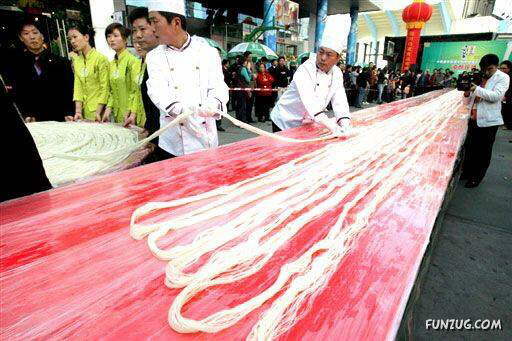 Chefs lay out the 420.4 meter long rice noodles, outside a shop in Zhengzhou, in central China for authorities to measure it.